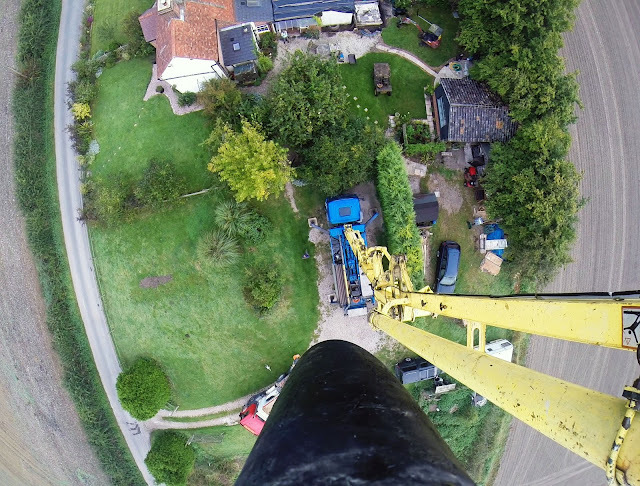 Rob from R Pomphrett Pumping very kindly sent me some images recently including this spectacular shot from the top of his Schwing S24X boom. He was using the pump to pour the footings for his own home extension in September last year and had a mate helping him out who had brought a GoPro camera with him. So while they had the opportunity they gaffa-taped the camera to the end hose, set it to take a shot every 30 seconds and extended the boom fully upwards. They ended up with numerous good shots - this was about the best one. (Click on the image for an even bigger version.) What a great picture!